We speak to Palestine's Ambassador to the UK, the Leader of Iceland’s Pirate Party and the South African Bishop fighting a UK mining company over murdered. Plus General Mad Dog Mattis meets NATO. Lonmin has provided housing for half its category 4-8 workforce even though progress is slow due to economic conditions and the subsequent collapse of platinum prices. Lonmin Plc established The Marikana Housing Development Company in 2005 to manage the 1,149 two-bedroom homes the Company has made available for sale either through direct purchase or by a rent-to-buy scheme. To date, 369 people have taken ownership of these houses. Starting in 2014, the Company has budgeted R500 million over five years to develop 1,240 modern apartments. During the first phase, 325 units were completed at Karee in January 2016. Construction of another 168 apartments is in progress. We have contributed 50 hectares of serviced land for development. Of the estimated 2,658 dwellings expected to be constructed on the land, Government completed the construction of 525 units in 2015 which should benefit community members, including Lonmin employees. Lonmin is in constant engagement with affected stakeholders, worker representatives and trades unions, including AMCU. It is our intent to provide our employees with decent living standards, who must have a choice of how and where they want to live. Achieving our vision for sustainable, integrated housing for our employees requires careful planning, consultation and coordination between all stakeholders – employees themselves, communities, potential funders, developers, unions, local municipalities and Government. In the fourth quarter of 2016, we requested expressions of interest nationwide to partner with Lonmin to review our existing housing strategy so that we can realise a plan that addresses employees' wishes, needs, security and affordability to ensure a fit-for-purpose and decent standard of living. Lonmin understands the impact on families from the loss of a husband or a father but also their breadwinner. We established the 1608 Memorial Education Trust to provide a free education to all the children who lost their fathers in the Marikana tragedy, up to and including university education. The trust supports 153 children, at various levels of education, including 10 in tertiary or university education and 107 at primary or secondary schools. The remainder, for whom support is also provided are at a pre-school stage. 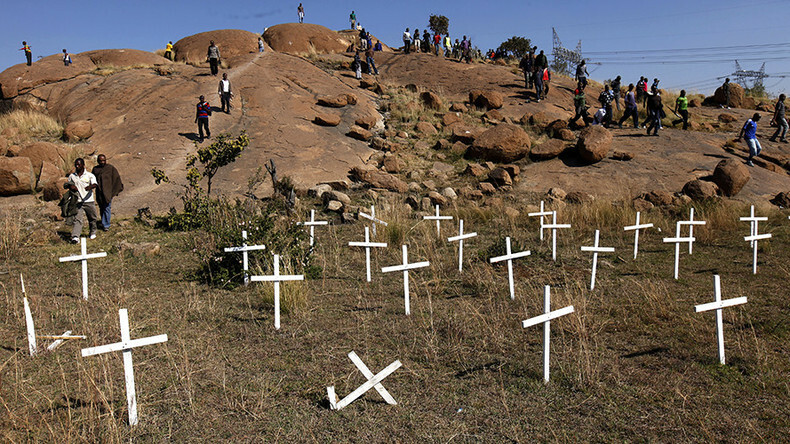 Lonmin will honour its commitments until the last child has completed tertiary education. With education, these children can go on to empower future generations. Lonmin completed amicable negotiations with the Association of Mineworkers and Construction Union about wages and conditions of service in October 2016. The three-year agreement, which is effective from 1 July 2016 to 30 June 2019, provides employees with a realistic and competitive settlement and ensures the continued sustainability of Lonmin. Below is an example of the basic agreed guaranteed packages for Category 4 – 9 employees. It is important to note that these figures are before taking into account overtime and safe production bonuses which make up a significant part of employees’ wages. Increase for Category 4 to 9: R1 000 per year or 7% (whichever is greater) on basic salary.